Valentine’s day is less than a month to go. Here are some gift ideas, if you are thinking of getting something that’s bound to delight HER. 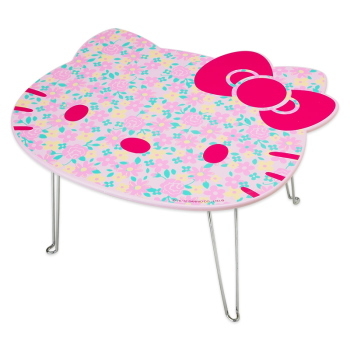 Ray’s cute girly room goodies. How does that sound? Color hangers to brighten up and keep her wardrobe neat and tidy. 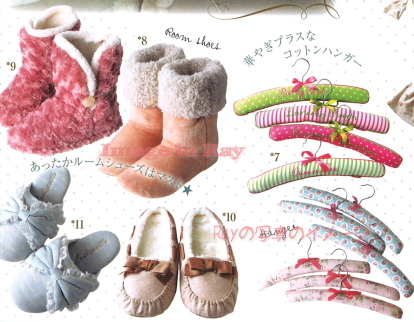 Soft fluffy room shoes to wrap and keep her legs warm and STYLISH. The year end sees Christmas as the next big event after New Year’s Eve. But is it unbelievable to know that Christmas is a working day in Japan? 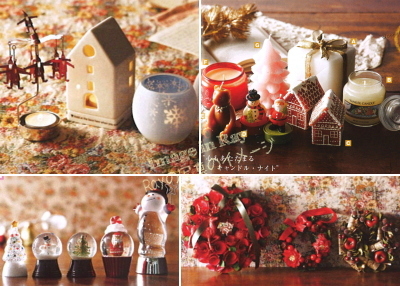 Let’s see how the Japanese indulge in the mood of Christmas. These are picked up from Japanese magazine Ray. Christmas nails have become part of the Christmas dress up for lots of Japanese women. 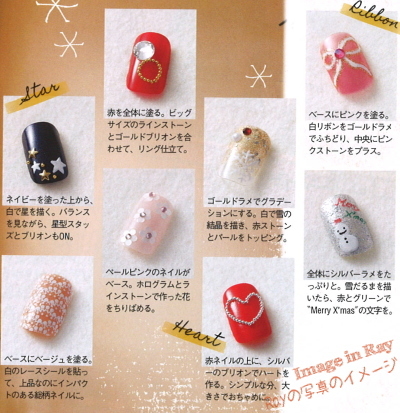 Ray’s answer to Christmas nail art are snowman, snow crystals painted on silver and gold gradation base coat. Red base coat, a popular color choice for Christmas, bryon in simple shape of heart and stones are added for decorations. You still have the choice of stars, laces and flowers for picks if you prefer a tone down version of Christmas nails. Idea of a Romantic Christmas? Christmas decorations is a must then. And of course,what is Christmas without Christmas wreaths? Like the idea of red wreaths that enhance the mood of festive season. And Christmas snow dome. To me they are so nostalgic and mysterious. I wouldn’t mind having one for a gift. So what is your Christmas Wish? Which are you? A dog or a cat lover? Difficult choice I would say, but cats won my heart by just a narrow margin. They have an air of nobility and innocent look that is simply irresistible. 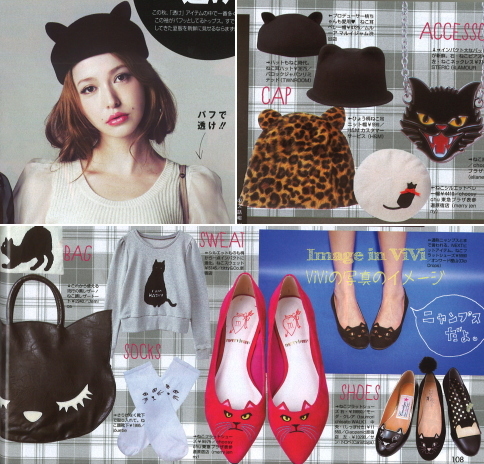 For those cat lovers who just can’t seem to get enough of cats, here are some cool, popular cat design items picked up from ViVi magazine. Bring these sweet, lovely items out on the streets! Hah! This autumn is not going to be lonely anymore. 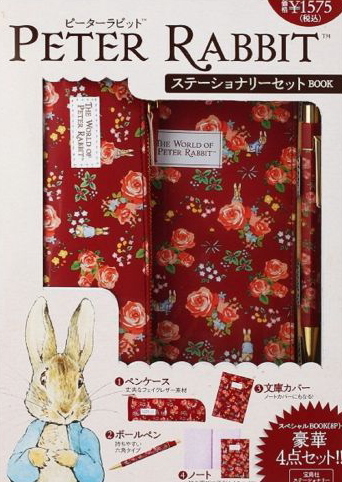 Although I only knew about Peter rabbit, the prints of these stationary sets somehow felt so familiar, reminding of my school days. If there were such presents for me during those days, I will be over the moons no doubt. 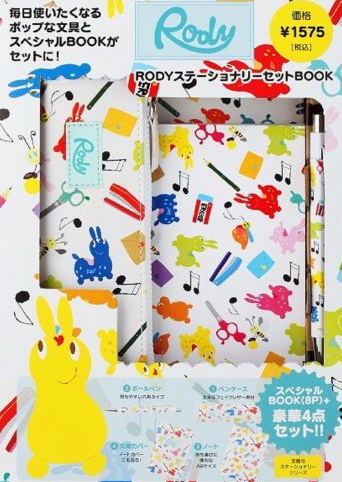 Anyway, these stationary sets looks really cute and comes in a set of 4 items. Finally I bought my iphone 4S cover after using it for a whole one month. The varieties of the design was simply too much that it took me 2 weeks to finally decide one. Ok, I do admit that I am lack of decisiveness. Could be in the roots (v_v) ? 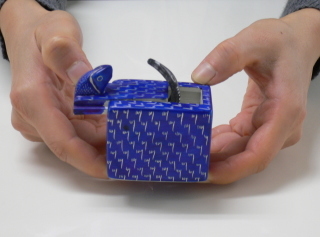 It should be able to protect the phone from scratches, but should not help much in shock resistance. 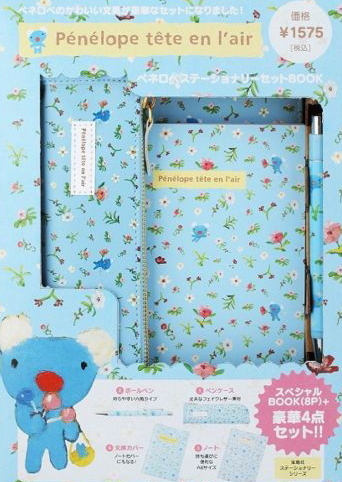 But I still love hard covers because there are too many wonderful designs for one to pick from. 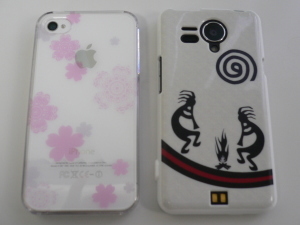 The case shown on the left of the picture is what I had bought for my iphone. Doesn’t it look simple, yet lovely and lady-like? 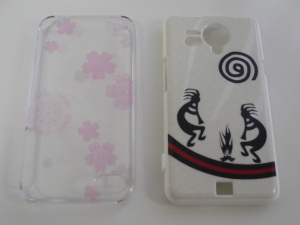 FIY, the case shown on the right of the picture belongs to a different handphone model. Cool design right? For those who who are interested to check out on some interesting Japan designed iphone cases, you can inquire through the button below. These lovely room shoes are designed and produced by a Japanese model. Altogether, the pastel colors (in the pictures) and the ribbon with the glossy pearls at the front looks extremely sweet. The material is soft to the touch and feels so comfortable to wear. Not only as a room shoes, but it suitable for wearing in the hotel rooms during travelling. 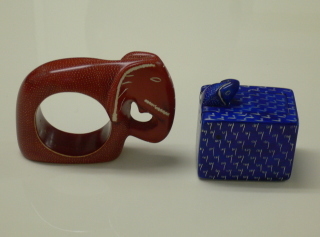 Do you know what are the representative souvenirs in Kenya? I received a paperweight today. Most probably, you can’t tell from these pictures, they are made of stone and are quite heavy. Sort of love the bright color when the cover stays shut. 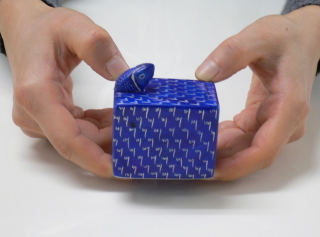 And when you try to open the cover….. Oh, is this supposed to be interesting? Cold feet is very common during the winter. 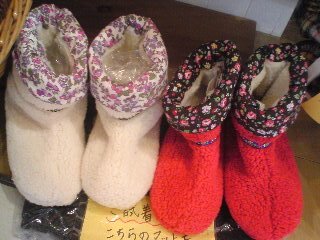 In Japan, room boots, worn in rooms to protect against cold feet are sold during the winter. If you are wondering about the effectiveness, I would say I couldn’t do without them anymore during the winter. Not only are the designs lovely and fashionable, the inner is made of boa and that’s the reason why they keep your feet warm. Below are some room boot pickups. Contact us for further details on color, design and size. This is another stylist boutique shop that is worth a mention. “SAKURA” as this shop is known as is just a mere 2mins walk away from the JR Chuo line mitaka (north exit), near to the cafe that I had introduced earlier. 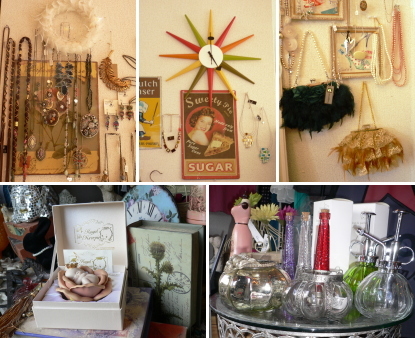 Besides fashion, the shop has a wide variety of accessories, interior and antiques goods for selection. According to the lady owner, making customer feel a sense of warmth and ease is the theme that she had her shop’s interior arranged into. The shop not only deals with lots of exotic and unique goods, prices are very affordable too, so it is definitely worth a visit. 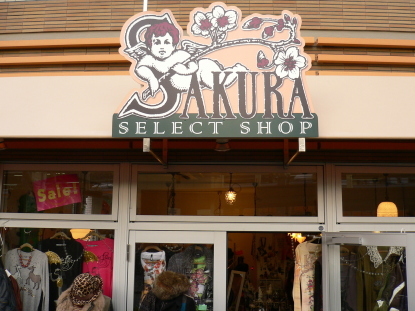 “SAKURA SELECT SHOP” signboard greets you at the main entrance of the shop. Coordination display that never fail to show up even at the side entrance. 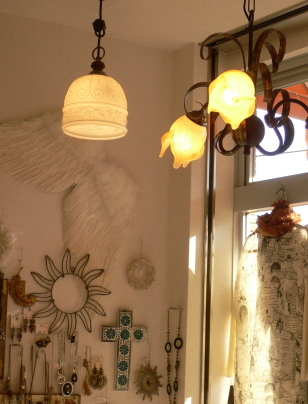 The owner takes pain to mix and match pieces from her shop. The exquisite coordination of the antique lights, accessories and interior goods give the interior a soothing effect. 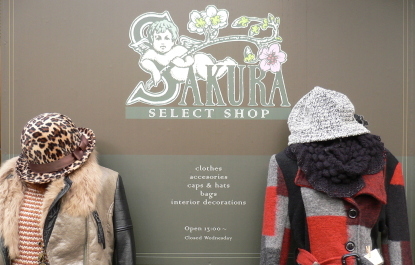 From accessories to bag to interior and antique goods, SAKURA offers a wide variation of goods for selection.